Tourism Secretary Bernadette Romulo-Puyat has sent “love letters” to El Nido in Palawan, Panglao in Bohol, Oslob in Cebu, La Union and Baguio City. Following Boracay’s six-month closure, the Department of Tourism has warned other popular destinations that they could be the next target for “environmental rehabilitation”. 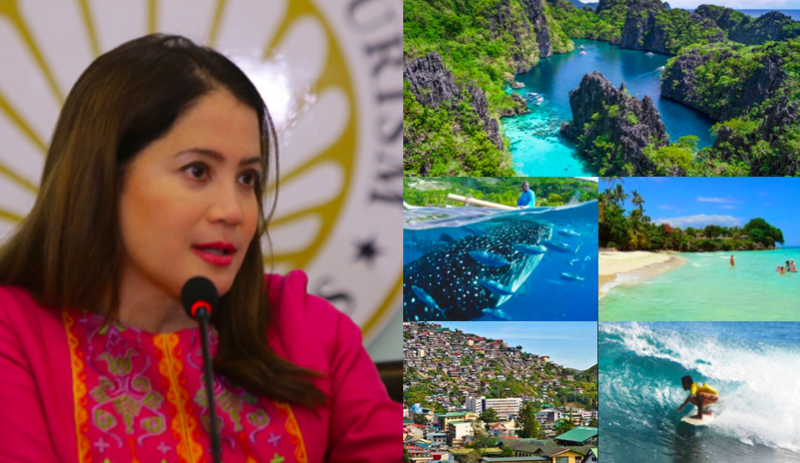 Tourism Secretary Bernadette Romulo-Puyat revealed yesterday (Friday, October 19) that she had sent “love letters” to El Nido in Palawan, Panglao in Bohol, Oslob in Cebu, La Union and Baguio City. Puyat said the letters were intended to be a “gentle reminder” to local government and businesses to strictly follow environmental laws. In most cases, the warnings relate to the failure to comply with the easement space for beachfront shorelines, she added. “Without us telling them, they’re following the easement. So that’s nice to know that a lot of them have already done it on their own, voluntarily,” she said. A number of establishments that were encroaching on the 30-metre shoreline easement have already been demolished on Boracay during the island’s closure. The world-renowned white-sand resort is due to reopen next Friday (October 26) after a six-month clean-up and rehabilitation. The closure was ordered by President Duterte in April, after he had denounced the island as a “cesspool”. Recent photographs taken during a “dry run” opening for local tourists this week show a spotlessly clean beach and clear sparkling waters. However, the island’s road system remains uncompleted and many condemned buildings are yet to be pulled down and replaced. Environment chiefs have recently said that the work is not likely to be fully completed until the end of next year. Work is also ongoing to issue permits to hotels and other tourism operations allowing them to receive visitors. So far 115 accommodation providers have been accredited by the authorities. In the meantime, the Department of Tourism is imposing strict limits on the number of tourists allowed on the island on any given day.